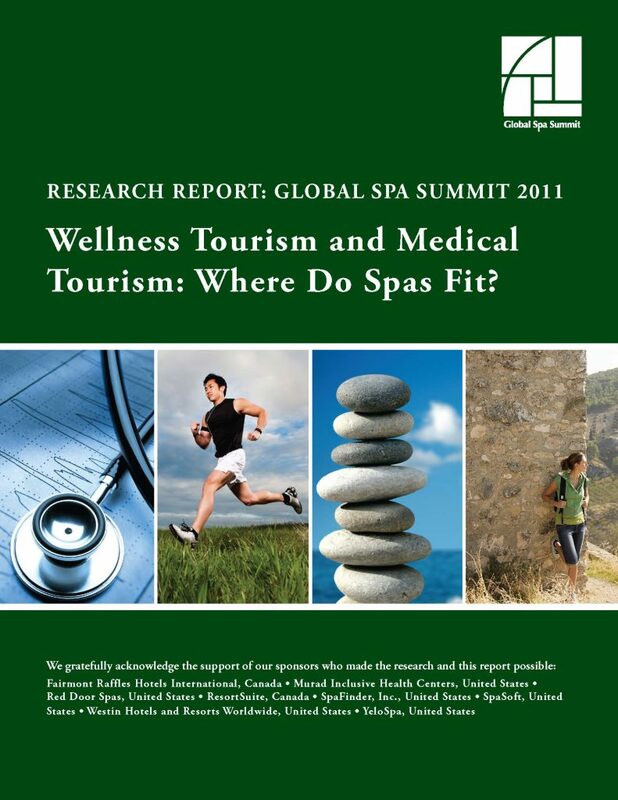 Wellness Tourism and Medical Tourism: Where Do Spas Fit? This 2011 SRI research finds the potentially explosive, $106 billion wellness tourism market held back by conceptual confusion and weak promotional models. This is the first comprehensive report on medical tourism and wellness tourism and tackles key challenges and opportunities for these distinct markets. We thank our Industry Research Sponsors: Fairmont Raffles Hotels International, Murad Inclusive Health, Red Door Spa, Resort Suite, Spafinder Wellness, SpaSoft, Westin, Yelo Spa. If you are interested in sponsoring GWI Research click here.